The Big Idea: Journaling can help children (and grown-ups!) reflect on and work through their feelings. When a loved one dies, children experience overwhelming, confusing feelings. 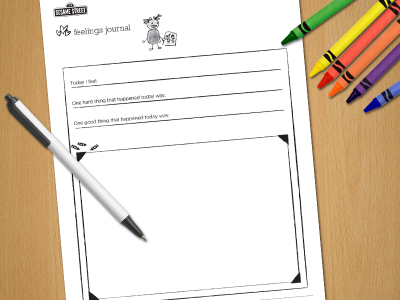 A journal can help children understand and express their emotions. Print out seven feelings journal pages (for one week) and put them in a folder, or clip them together. At the end of the week, look through the journal together and talk about the different emotions that children felt. End with a big hug and reassurance that hearts take time to heal.